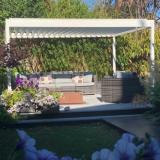 When roof is open it allows you to enjoy the sun on your patio or in your garden without having to move the structure. Large dimensions possible when Lapure® units are "coupled" together. 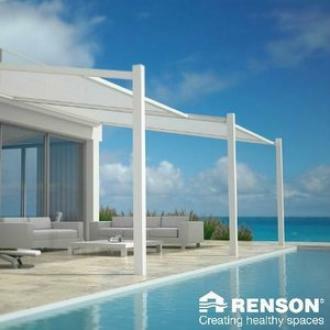 Two roofs can be installed perfectly next to one another so that they span across larger areas. Integrated drainage with two models to choose from: one that drains water through side channels & columns, even when half-closed. 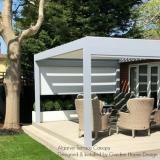 And another model with the roof overhang beyond the legs, allowing you to enjoy as much shade as possible. As a result you also get enough shade when the sun is low (eg: if fitted to a west-facing wall). Ideal product choose for commerical applications as well. 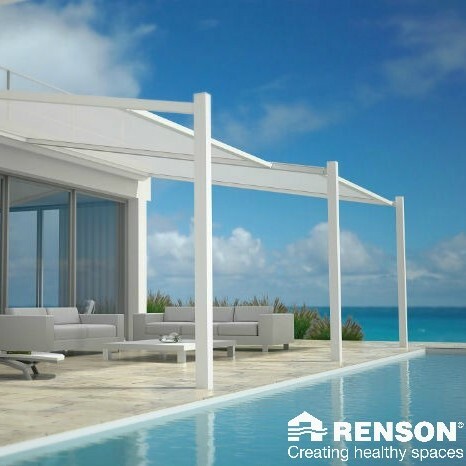 Your Lapure® has an innovative, waterproof, sunproof and translucent screen in the roof.The screen fabric is coated on 1 side with a waterproof coating that is UV resistant.